A 19th century Armenian writer living in Japan becomes the de facto ambassador of a lost nation. Both Diana and the refugees shared a vision and a hope–no matter how unrealistic–that they would overcome their obstacles: with hard work, perseverance, and a little human compassion, they would succeed. Their battles were for their own survival, and that of a people and their culture, in spite of the odds against them. Once everything is lost, how does one maintain the will to live? How do we as individuals overcome our fears and push forward? 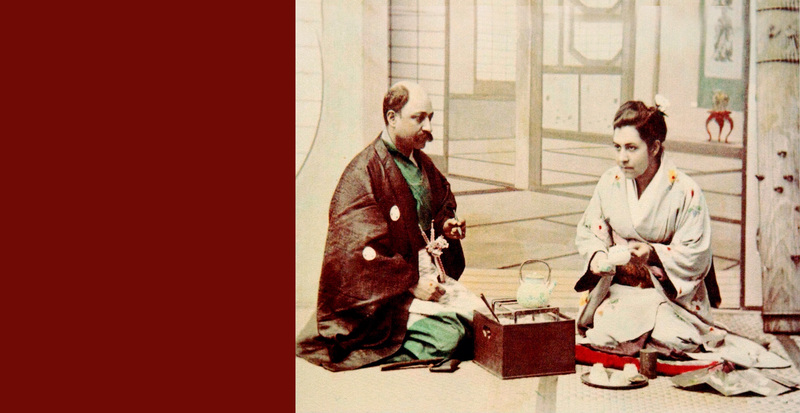 In 1890 an Armenian entrepreneur, Michael Apcar, brought his wife, an aspiring writer named Diana and their newborn daughter to Japan, a country that had recently opened to the world and was bursting with opportunities for new businesses. After two bankruptcies Michael suddenly died leaving Diana with debts and three children in a foreign land. She had to support her family and stabilize the business, eventually making it a success; yet she still wanted to focus her energy elsewhere. The area crying for attention was the Middle East. The weakened Ottoman Empire was losing one province after another, as Greece, Bulgaria, Macedonia were regaining their independence. The suspicion and hostility of the Ottoman government towards its remaining minorities grew steadily. The Armenian massacres of 1895-96 and 1909 gathered considerable media coverage, but neither the Sublime Porte, nor European Powers, actively meddling in the Ottoman affairs, did anything to change the situation. Diana’s goal was set: her people needed her, and she committed her passion and idealism to their cause. She wrote a book a year, appealed to peace societies and sent her articles to major European and American newspapers, pleading her case: Armenians’ right for “security of life and property on the soil of their own country.” She corresponded with Stanford University founder David Starr Jordan, President of Columbia University, Nicholas M. Butler, U.S. Secretary of State Robert Lansing, and dozens of others — journalists, missionaries, politicians. A hundred years before the emergence of social media, Diana created an extensive network of connections, arguing over and over again that if nothing were done to protect the Armenians, new massacres would be an inevitable outcome. Her efforts were in vain. The Armenian Genocide of 1915 surpassed her worst predictions. One and a half million people were killed; hundreds of thousands survivors fled in all directions, including the Caucasus. Some of them continued north to Russia, only to find the country in the midst of the bloody Bolshevik revolution. The refugees couldn’t go back, and couldn’t go west to Europe because of World War I; and so they chose an unexpected direction — East, through endless Siberia, all the way to the Pacific Ocean. As there were no vessels to take them to America from the Russian port city of Vladivostok, they needed to go to Japan. 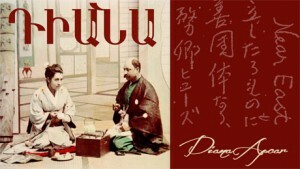 Due to Diana’s pleas with and guarantees to Japanese officials, Armenian refugees were provided temporary asylum in Japan. Diana rented houses to shelter the refugees and enrolled their children in school. She helped with visas and documents, and became the Japanese representative for the American Red Cross of Vladivostok; she located refugees’ relatives in the United States, and fiercely negotiated with the steamship companies, which were booked beyond capacity for months ahead, as so many vessels had been reassigned to serve the war’s ends. Using her own resources to help these lost souls, Diana was acting as a de facto ambassador of the non-existent state of Armenia. In 1918 the Ottoman Empire lost the war; Russia entered a civil war. This created a power vacuum in the Caucasus allowing for a new country to emerge — the First Republic of Armenia. After it received international recognition in 1920, its Prime Minister appointed Diana as Consul in the Far East. She accepted, but before Japan could recognize her new status, the First Republic of Armenia was absorbed by the Soviet Union. After the 1923 Great Kanto earthquake claiming over 100,000 lives in Japan, Diana herself became homeless. To find the refugees Diana Apcar assisted over fifteen years, we studied ship manifests and immigration documents, and were able to identify more than six hundred people she helped to start a new life in the United States. Her name never appeared in the Soviet era history books. Only a handful of Armenian scholars know about her today. Both Diana and the refugees shared a vision and a hope–no matter how unrealistic–that they would overcome their obstacles: with hard work, perseverance, and a little human compassion, they would succeed. Their battles were for their own survival, and that of a people and their culture, in spite of the odds against them. Once everything is lost, how does one maintain the will to live? How do we as individuals overcome our fears and push forward? We believe their powerful example and this message will resonate with our viewers.